Credit card debt is a fixture of modern life, allowing consumers to buy ahead on purchases they cannot afford with cash on hand. Terms and conditions vary across cards, but there is a common feature present in all credit card repayment scenarios: Interest. Managing debt with timely payments is essential to preserving your good credit, so it is important to stay current with interest and principal payments. Credit card companies issue minimum payment requirements each month, but additional payments can also be made, paying down debt faster. 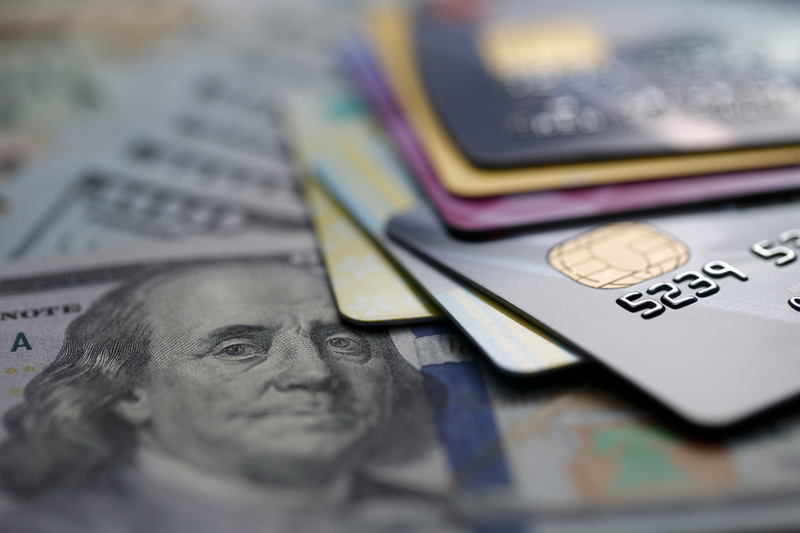 Credit cards represent the most commonly used form of revolving credit, which is extended in contrast to installment credit. While the two forms of borrowing both allow consumers to buy things they cant pay for immediately, the way the loans are structured and repaid is different. Installment credit amortizes repayment for big-ticket items over time, requiring periodic payments toward principal and interest. Mortgages and car loans are widely used examples of installment credit. When you buy a home the purchase price is offset by your down payment, which may be 10-30% of its total cost. Fees and other charges are sometimes rolled-in too, accounting for the total principal balance of the original loan. Once established, the principal balance is broken into chunks which must be paid-back periodically. Mortgages extend for decades, so the amount of each payment that is applied to the principal of a loan varies over time. Amortization weights early payments as interest-heavy, while those occurring closer to the end of a loan's repayment period are divided with greater amounts going toward the principal balance. Paying ahead on most mortgages carries no penalties, so once each pay period's interest obligations have been met, mortgagees are free to apply further sums to their accounts, shaving additional principal right off the top. Car loans operate in similar fashion, though most are satisfied within several years – in contrast to mortgages which take up to 30 years to pay off. Because they are long-term loans, secured by real property, installment credit products carry low interest rates, falling within single-digit percentages. Failure to pay allows banks to repossess or foreclose on properties to recover their investments. Revolving credit, on the other hand, is designed for short-term repayment. As a result, credit cards carry interest rates several times higher than those attached to installment loans. Under revolving terms, purchases are posted to your account as they are made, starting a timeline for repayment. Initially, grace periods are in place which don't carry interest obligations. If the entire balance of your purchase is paid during this period, no interest is due. Once the grace period expires, principal balance is subject to interest charges according to the terms of your card. Unpaid balances roll over, or “revolve”, into subsequent billing periods where they continue to accrue interest until paid in full. Credit card payment calculator breaks down monthly payments into principal and interest sections, designating how much of your payment is applied to each category. While meeting minimum payment obligations keeps creditors at bay, there are strong incentives present to pay greater amounts each month, erasing debt faster.